A variety of workshops lead by industry professionals and experts in their crafts, will be availible to the students to choose from. ● Stage Combat: Mass Battle! POV. P. O. V. Point. Of. View. No comedy sketch can exist without one. Even the most absurd sketches all have a point of view. You might not agree with it or think it’s funny but guaranteed, it has a point of view. Before anyone writes a single word of a comedy sketch they should ask themselves, “What is my point of view about this?” If they don’t have one, shelve the sketch until they do. In A TOTALLY SKETCHY WORKSHOP, Gary will facilitate discussion between students to discuss their points of view with each other. From these crucial discussions, Gary will guide and encourage students to begin seeing the world through a sketch-comedy lens. Students will also study the various sketch formats, that include ‘the blackout’ ‘the reveal’ ‘the twist ending’ ‘the mislead’ etc. They'll have a chance to work alone and in pairs. Students will leave the class with basic understanding of how to write a comedy sketch from their own point of view as well a completed sketch. Time permitting, some of the sketches will be acted out to show how the words on the page translate to the stage. Award-winning playwright, comedian and improviser, Gary Jones, has built up a 30-year career in comedy that spans over two entire decades! He traded his advertising agency job in the city of Hamilton for a National Touring Company job with Second City Theatre in Toronto. There, in the thermal core of the comedy-improv nuclear reactor, Gary learned first-hand how to write comedy sketches. He moved to Vancouver and for the next fifteen years, as a main-stage player, Gary’s comedic and sketch-writing abilities helped steer Vancouver Theatresports to its status as one of the world’s foremost and respected improv-comedy theatres in the world. Gary currently writes for the CBC Radio smash hit, The Debaters. He’s written countless sketches for CBC Radio. He has a sitcom in development with CBC television. Gary was invited to teach sketch-comedy writing in a master class at Capilano University and as well as a sketch-comedy instructor at Vancouver’s School Creative. He also teaches at Vancouver Film School. Gary enjoyed being a staff writer for 22 episodes of Big Sound, a Global Television sitcom. He even performed improv sketches at the home of Bill Gates in Redmond, Washington. Your brains and an open mind. Pen and paper. An invigorating session exploring balls, movement, energy centres, and neutral text. Join Allan in a lively event that focuses the mind and body through simple physical activity with balls. Explore energy centres as a tool for creating character and letting your body do the acting work. Allan is a professional actor, director, producer, writer and teacher. He taught in the Douglas College Theatre Department for 22 years and he was awarded Faculty Emeritus standing in 2017. Education: BA (UBC - Theatre and English), BEd (UBC), Certificate in Arts Administration (Harvard). After leaving UBC Allan worked as a professional actor in Vancouver and on tour throughout BC and the rest of Canada. He was a writer for network television and has written documentaries, TV dramas, sketch comedies, and a feature film. He co-founded Northern Light Theatre in Edmonton and did every job you can find in a theatre company including acting and janitorial duties. He is most proud of producing two seasons of Shakespeare in a Tent. 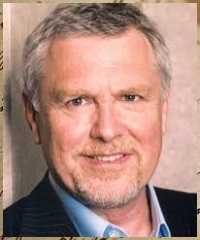 Allan has worked extensively in film and television with credits in feature films, TV Movies of the Week, episodic TV, voice-overs and commercials. 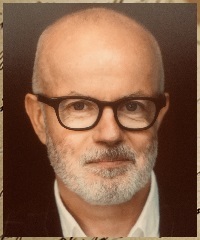 Allan directed over twenty productions at Douglas College including: Frankenstein, A Midsummer Night's Dream, A Macbeth, Our Country's Good, Mariner, Italian American Reconciliation, Love's Fire, Brecht’s Kabaret, and The Good Woman of Setzuan. Some selected film and television projects include the feature films War and Rat Race, and episodes of MacGyver, Stargate SG1, Cold Squad, Mysterious Ways, Poltergeist, and The Guard. His lifelong learning activities/goals include learning to draw, writing a YA novel, and going back to visit his old friend - the piano. Wear loose, comfortable clothing and be prepared to work (play) in bare feet or comfortable sneaker-type shoes. In this workshop I will guide participants in crafting lyrics to a song that tells a story, captures a mood, or conveys character. We'll cover rhyme and rhythm, word worlds, writing for sung vs. spoken voice, and practice the art of painting an entire picture with very few words. I've been the lyricist for projects in a wide range of styles, including: a spoken word folk troupe (The Fugitives), an accordion shout rock band, an indie rock outfit, a moody avant-song duo, and a dance party country band. In my music theatre projects, I've crafted lyrics for failing mermaids, shady poachers, bombastic rodeo queens, and other bewitching songbirds. My workshop will help inspire aspiring lyricists and offer fine-tuning for more experienced writers. No singing or instrumental experience required, but of course it always helps if you're willing to give it voice. Pens, paper, and a willingness to write, try, reconsider, and write some more. Dive, jump, fling yourself into a process where you’ll create a physical piece of theatre based on a given theme in only 90 mins. using Music, movement and simple text. No experience necessary! However, you are encouraged to surrender to the chaos that will ensue. It will be loud, it will be messy, it will be amazing. Can you handle this? Come on into creative chaos. 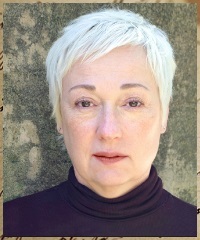 Susan is a professional theatre artist, devisor, actor, director and teacher. Her invigorating artistic style with specialization in physical theatre and mask performance (commedia dell’arte) makes her a sought-out teaching artist and performer throughout Canada. Her teaching pedagogy is based in Lecoq training, with off shots in the work of Anne Bogart and Frantic Assembly. Training includes: BFA in Theatre (UBC); Commedia studies at Piccolo Teatro di Milano (Giorgio Strehler); Mask making with Donato Sartori; Dell’Arte School of Physical Theatre; Devised theatre with One Yellow Rabbit; Mask work with Jeremy James and physical devised theatre with UK’s Frantic Assembly. 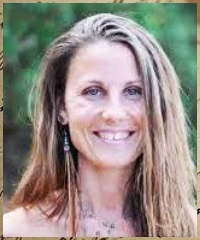 She is Adjunct Professor at UBC teaching Commedia and physical performance and conducts numerous creative initiatives through ArtStarts and independently. 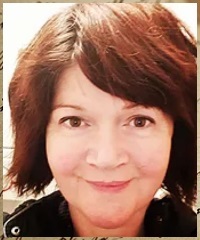 Susan works with the ABCDE; has presented papers at the CATR and her paper was published with and through the International Conference Futurist Drama/Dramaturgy, U of T in 2011. Susan is the recipient of the Outstanding Performance Award and Supporting Actress Award Nominee from the Vancouver Jessie Richardson’s Theatre Awards and The Gordon Armstrong Theatre Artist Award which recognizes creative initiatives. She directs multi- platformed shows ranging from youth engaged theatre to professional ensemble productions including her company BellaLuna Productions. Wear comfortable clothing and soft soled runners (we will be moving! ); water bottle; pen or pencil; open attitude! One of the exciting things about musical theatre is using our body as a tool to help the audience understand the high stakes situations we get to embody with dance. In this workshop we will be focusing on an athletic dance style (think Hamilton or Newsies - a blend of styles focused on telling stories of characters in high stakes situations). We're going to sweat, work hard, and smile! Any and all levels welcome. 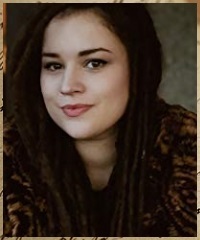 Paige is an actor, singer, and dancer, originally from Black Creek, Vancouver Island. Performance credits include: Cabaret, Mortified, Incognito Mode, The Skin Of Our Teeth (Studio 58), 42nd Street (TUTS - EV Young Award for Outstanding Performance), Rock of Ages (The Arts Club - Ovation Nomination, Supporting Actress), You're A Good Man Charlie Brown (Play on Words - Ovation Nomination, Supporting Actress), and The Drowsy Chaperone (Exit 22). This summer, Paige will be in Bard on the Beach's production of Coriolanus playing at the Howard Family stage. She is a graduate of Studio 58’s Acting program and Capilano University's Musical Theatre Diploma. Water, clothes and shoes suitable for movement. This workshop will show you how to use simple scenic elements such as risers, flats, fabric and furniture to create dynamic set designs that successfully support your play. In this workshop you will build a simple maquette to experiment with the following: the relationship between the audience and the stage, how levels, mass and line can support the blocking and narrative of your play, and how the positioning of properties and furniture can create mood and focus. You will also learn about a variety of cheap, easily found materials that can provide texture, movement, and shadow/lighting opportunities to create powerful scenic environments. This workshop is useful for both production and performance students. 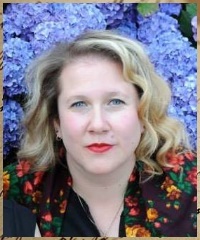 Heather has worked as a designer and prop builder for theatres across Canada; Douglas College and Bard on the Beach in Vancouver; Theatre Calgary, Alberta Theatre Projects, Quest Theatre and the Banff Centre in Alberta; Sheridan College, Humber College and Theatre Passe Muraille in Ontario. Her interest in Puppetry Arts has led her to study and work with artists from the Old Trout Puppet Workshop, Puppetmongers and Ronnie Burkett. She has a B.F.A. in Theatre Design from UBC and a M.Ed. in Art Education from UVIC. Heather is a passionate educator. 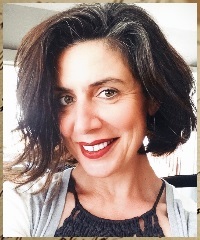 For over 20 years she has been teaching theatre production at Sheridan College and Humber College, where she recently served as the Program Coordinator creating new curriculum in many areas of Theatre Production, Design, Creative Collaboration and Puppetry Arts. She has recently returned to British Columbia and is looking forward to having more time for her theatre design and her own artwork. The skills required in today's Theatre and Film world require agility and confidence. You will come across requests from everything from General American to Dothraki. We will look at some of the basic skills required and work on samples of an American Dialect and a Constructed Language. 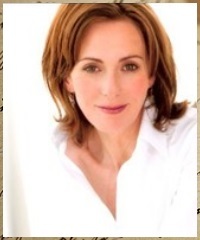 Elizabeth is a Vancouver Speech, Dialect and Voice coach. She works in the film industry where she coaches actors from the all over the world and teaches at several training institutions in Vancouver as well as maintaining her Acting career. She has trained extensively in both Canada and the US. 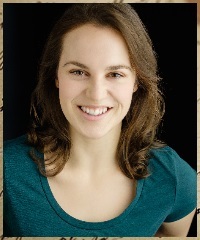 She earned her MFA with the ACA at the Shakespeare Theatre Company in Washington DC, her BFA from YORK University in Toronto, has studied with Knight-Thompson Speech work in NYC, at Canada’s National Voice Intensive, The Banff Centre and the U of A. She currently teaches at the Vancouver Film School and VanArts. She has coached actors on: CHARMED, THE 100, THE GOOD DOCTOR, GRACEPOINT, NOELLE, A SERIES OF UNFORTUNATE EVENTS, ME & EARL & THE DYING GIRL, BATES MOTEL, LEGENDS OF TOMORROW, MAN IN THE HIGH CASTLE, THE WHISPERS, FRINGE and RUSH to name a few. During the Makeup Workshop, I will be discussing makeup products and techniques and make up cleanliness. I will have a student volunteer to model for a fantasy space makeup demo and then there will be time for the students to break into pairs and do a space application on each other. Reference photos or a "face chart" of a fantasy space make up they would like to try. An introduction to the lighter side of Shakespeare, with a focus on the Fools and Clowns. This workshop will focus on the comedic scenes and characters both in Verse and Prose. What is the difference between a fool and a clown? What makes a scene funny? How do we make these plays funny to our contemporary times? Are you obsessed with all things Broadway? On Wednesdays, do you wear pink? Have you been caught belting the score to Dear Evan Hansen when stopped at a red light? If you answered yes to any of these questions, this workshop is for you. 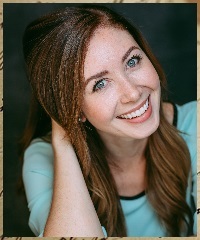 Under the expertise of Vancouver musical theatre music director Arielle Ballance, you will learn to sing excerpts of songs from shows currently on Broadway. With focus on breath, projection, harmonizing, and producing that full musical theatre sound, students will come out of this workshop with an enhanced knowledge of what it takes to learn a song in a professional musical theatre setting. 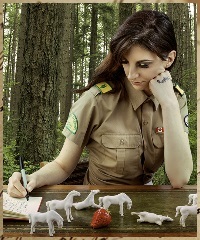 Arielle is a music director, accompanist, instructor, and performer originally from Edmonton, Alberta. Recent music direction credits include A Charlie Brown Holiday Double Bill; Elephant and Piggie’s “We Are in a Play!” (Carousel Theatre), Anne of Green Gables (Capilano University), Merrily We Roll Along (United Players), and The Steadfast Tin Soldier (Alberta Opera). Arielle was also rehearsal pianist/pit orchestra keyboardist for last summer’s 42nd Street (TUTS). Auditions are a necessary and sometimes intimidating part of being an actor. Join Artistic Director Caleb Marshall, who over the last 10 years has auditioned well over 1000 professional actors and explore what you can do to make sure your auditions showcase your best self. This on your feet, active workshop will guide you through many of the audition questions actors ask: How do I select material that highlights my strengths? What does contrasting really mean? How do I make a memorable entrance? How do I get into my body and use the space? Where do I stand? What do I look at? What does it mean when they give me notes? Many of these simple questions leave actors nervous and less prepared. Finding a way to make auditions enjoyable and work for you is one of the best lessons an actor can learn. 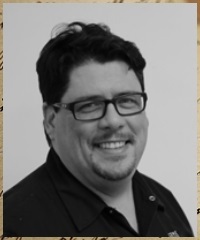 The Managing Artistic Director for the Canadian College of Performing Arts, New Brunswick born native Caleb Marshall’s twenty-five year theatrical career has spanned producing, directing, writing, teaching, acting, administration, and cultural advocacy. He has produced over 80 theatre productions and 25 multi-disciplinary performing arts presentations. 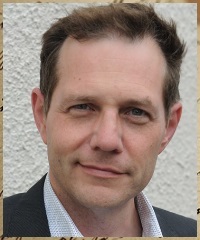 Most recently he spent three seasons as the Artistic Executive Director of The Sudbury Theatre Centre. He spent the previous six seasons as the Artistic Producer for Theatre New Brunswick. 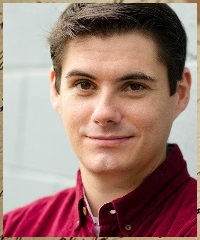 Caleb has maintained a life-long commitment to education and training. He holds a BFA Honours in Acting from York University, an MFA with Distinction in Theatre Directing from Middlesex University, London (UK) and has trained with; The Stratford Festival’s Conservatory for Classical Theatre Training, Moscow’s GITIS Academy, the Banff Centre for the Arts and on an International Artist’s Fellowship at Shakespeare’s Globe. He’s taught at many of those institutions as well as classes at St. Thomas, Dalhousie and Thornloe Universities and led workshops at festivals in Poland and Germany. 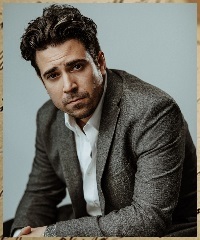 He has received the Christopher Plummer Fellowship Award, The Stratford Festival’s Eliot Haze Playwright Development Award and was recognized by the New Brunswick Arts Board with an Excellence Award in the Arts. He has also been shortlisted for Sudbury’s Mayor’s Celebration for the Arts. Know 4-5 lines of text (a very short piece of monologue) you can work with. Humans are natural pattern makers. In this workshop we will explore how spontaneous rule making and group storytelling can help us discover fun and engaging games on stage. Creating scenes that audiences love, and performers want to be a part of. Shawn Norman is the Artistic Chair of the Canadian Improv Games, a national festival for improv performance. He has been performing and teaching Improv in Vancouver and around Canada for the last 20 years. He can be seen in his regular show in Vancouver, Little Mountain Improv. Ladders are part of any performance space and a required tool for many departments. Come and hear simple solutions, training tips and see options for working safely at heights. Don’s twenty-year career has taken him from student, to crew, to supervisor and manager. Along the way he has worked with some amazing organizations, The Massey Theatre, Vancouver Folk Music Festival, Royal City Musical Theatre, The Canadian Institute for Theatre Technologies to name just a few. Don now brings all of that experience and love for live performance to Actsafe. From ladder safety to air quality Don has experienced it first hand and can help you navigate the world of Performing Arts safety. Scenarios: Tell us how/when you use ladders. Come and chat about the REAL impact of LED's on school performance spaces and the challenges we are facing. Actors need to get the words off the page. We need choices that move people: casting directors, producers, directors, fellow actors, the audience, literally to the edge of their seats. But with a seemingly infinite menu of verbs and objectives, how do you land on the choices that really connect you with the text to create a riveting moment? By becoming aware of the strong physical impulses that live in the sound of the words themselves. A practical method for generating the confidence to take creative risks and really play, Moving Through Text is focused on providing concrete, physical tools that release the best of our creative selves through a vital and visceral connection to words. While instructed in English, participants are welcome to participate in the language of their choice. 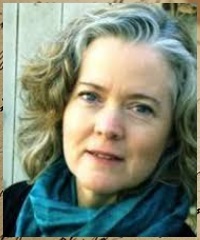 Holding a Master’s Degree in Theatre in Education, Sandra’s teaching practice spans over three decades, including instructing at the University of British Columbia, Capilano University, Mount Royal College, the Arts Club Theatre’s Musical Theatre Intensive and founding the Creativity Lab and the Intensive for the Young Artist through the Vancouver Playhouse. She currently teaches at the Vancouver Film School. In addition she directs, is a Jessie nominated actor and playwright, and has co- and guest- starred on most Vancouver based productions, most recently The Arrangement, Fringe, The Killing, Red Widow and Witches of East End. She is a co-founder of the Human Theatre Collective and Artists with Day Jobs and continues to develop and teach “Moving Through Text” ©, a physical approach to text work. Clothes that allow movement and the ability to work in bare feet. Water, snacks, and a sense of play. Participants are welcome to bring text in any language as material for exploration and play. Memorization not required. Participants will collaboratively create poems, which in turn will become platforms for site-specific, interpretive performances. This workshop requires no previous writing (or rhyming!) experience! Come as you are…open-minded, ready to engage, explore, laugh and be surprised! Guided Visualizations for deepening your creative process. Is there a character that you are developing? A set that you are bringing to life? A script that you are writing? Experience how to quiet the mind and cultivate an inner listening that inspires your imagination. Slow down. I mean…really slow down to a more meaningful approach to your art. These 90 minutes are dedicated to you and the unlimited potential of your mind. Wear comfortable clothing, bring a pen and notebook. An exciting look at how to create a safe battle sequence with multiple performers, by breaking down the floorwork and track selection of the combatants. Based in empty hand/ unarmed techniques, the focus is on creating dramatic and safe storytelling action. 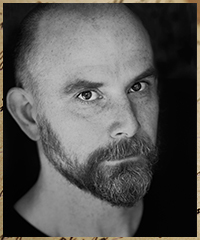 Robinson is a Director, Lighting Designer, and Fight Choreographer. Recent directorial work includes Oscar Wilde's The Picture of Dorian Gray (also adaptation) at Vancouver Island University, Once Upon a Mattress for 3LD Productions, Apprentice Director at Bard on the Beach, for The Winter's Tale, and most recently, Annie, for Rainbow Youth Theatre’s 30th Anniversary season. Lighting Design: Vancouver Island University, Theatre One, Touchstone/ Carousel, and this last summer, Arctic Action, as part of the Nord-Norges Festspillene Theatre Festival in Harstad, Norway. Stage Combat Guest Instructor credits: Arctic Action (Norway), 360 STUNT (Copenhagen), and the Nordic Stage Fight Society (Stockholm). North America: fight choreography and motion capture performance work for Final Fantasy: Kingsglaive, as well as over 50 theatrical productions. Awards: Theatre BC Mainstage for Best Actor, Best Lighting, and Outstanding Fight Choreography. Ongoing projects include continued theatre mentoring and design at Vancouver Island University, and Creative Consultation with Bard on the Beach for their 30th anniversary season production of Coriolanus (Adaptation and Combat Consultant/ Technical Advisor). In these challenging times, it’s more important than ever to find ways to engage with our communities and help tell stories that often go unheard. More and more, arts practitioners, government agencies, and social justice groups are turning to theatre to explore social issues, solve conflict, and empower marginalized groups. In this exciting and timely workshop, participants will learn techniques that employ fun yet powerful theatre games and exercises to delve into the issues that matter most within a group. Learn skills in collective creation, facilitation, and storytelling, and discover just how inspiring it can be to use theatre to effect positive change in the world! Clothes in which you can move, a notebook, and a pen.